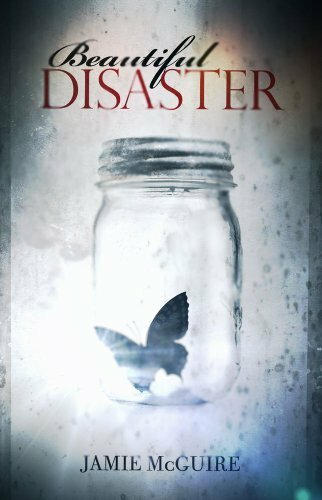 Fun Facts About Beautiful Disaster – One of My Favorite Books Ever! I have an upcoming interview scheduled with the author of Beautiful Disaster (Jamie McGuire), but thought I’d compile a bunch of cool facts I’ve found regarding this book. Jamie speaks candidly on her Facebook pages, and has divulged some very interesting stuff! 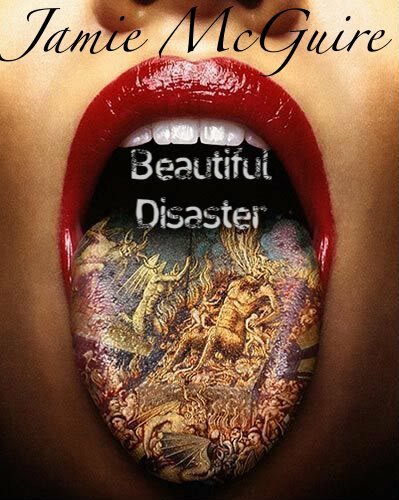 Beautiful Disaster is not a Young Adult novel (rated mature, and is for ages 17+). As per a recent Facebook post, she used the names of some of her college friends for a few of her characters (highlighting America, Finch, Brazil, Shep). Huh. Love this! I didn’t realize “their” song was Hinder’s “Thing For You” – WOW! Love that little tidbit. The song that makes me thing of Travis and Abby is Crossfade’s “Invincible”. Jamie created a photo album of her “Beautiful Disaster” characters. I agree with all of them ‘cept for Travis. Oh well. My Travis was a whole lot more UFC fighter’ish. A bigger, scarier (and hotter) version. Tee hee! Funny enough, her photo version of “Marek” was closer to my version of Travis. Megan Fox as “Megan” – she was right on for that one! The original cover! Hey that’s a fun fact! I read this book on one night. I couldn’t put it down. It made me laugh, cry,and get frustrated. It was a great read. Thanks again for the great book suggestion. I read it and loved Travis but I really disliked Abby. She was so immature and such a tease! I didn’t understand why Travis was so attracted to her. I haven’t read this book yet, but it sounds interesting. If you like books about Rock Star’s Roslyn Hardy Holcomb has written a book called Rock Star. I read it a couple of years ago and really liked it. I have to agree with Shreya! I loved this book and have read it 3 times…but will not be the last time I read it. This book for me was more for the journey and not what the end would hold. Usually a book seems to be all about what the end will hold and therefor after you have read it once, it is hard to read again (since you know the ending) but I LOVE rereading this wonderful rollercoaster! Also, the fact that the entire book wasn’t built on a one-sided misunderstanding or communication of a character, was very refreshing! By far, top book for me…and the author is wonderful to her fans! I think it’s because they are on her Facebook profile. You need to be logged into Facebook to see them. I hope that helps!